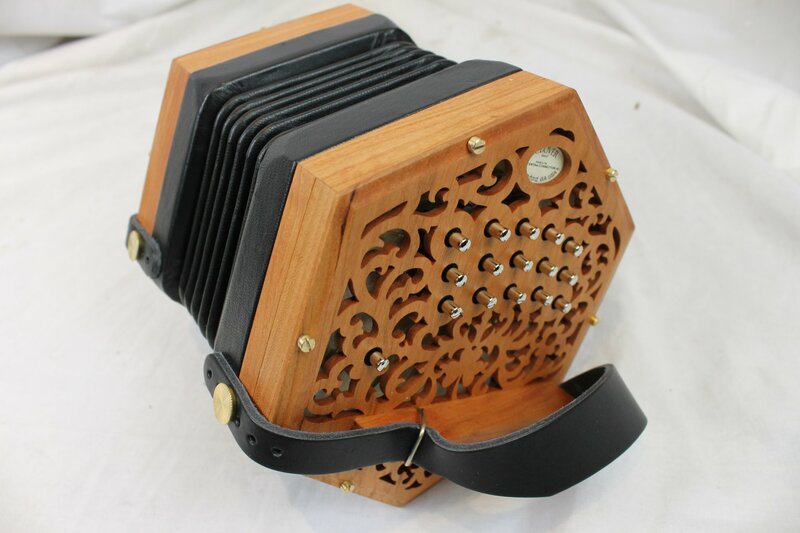 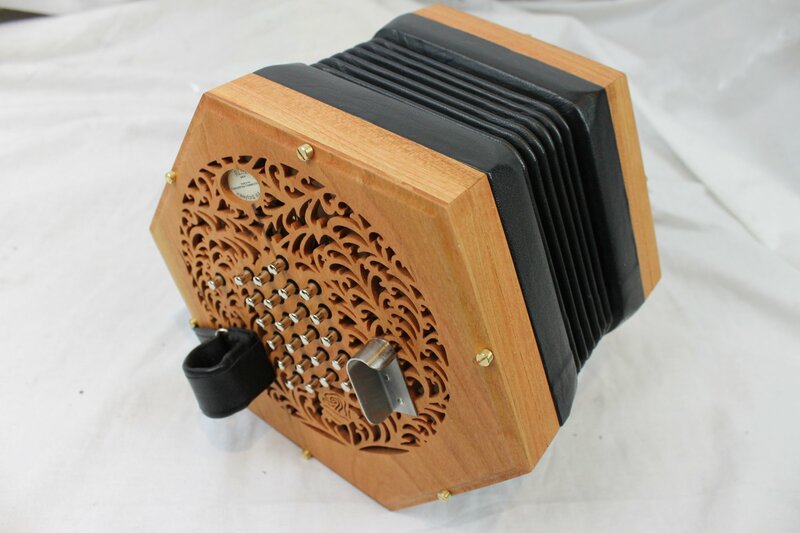 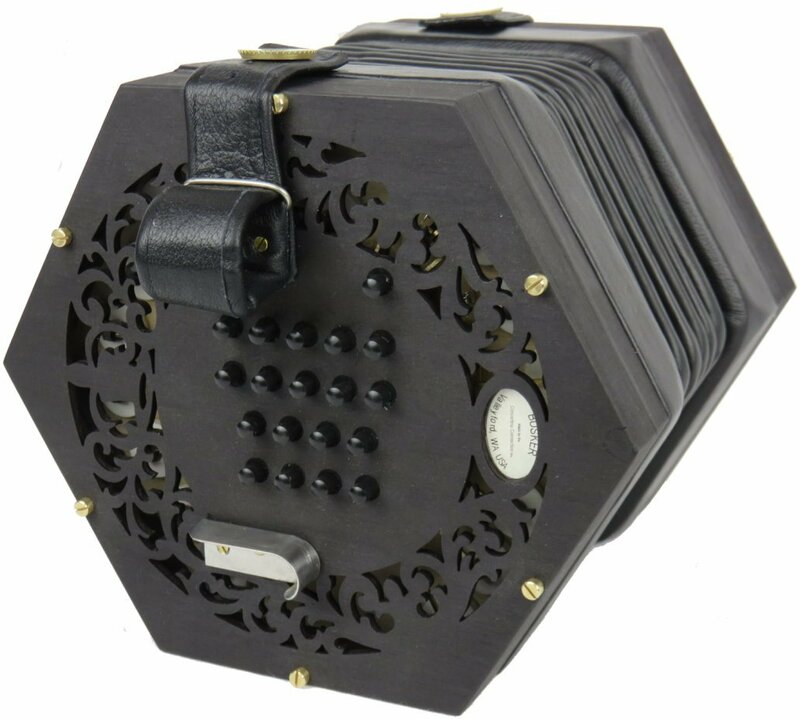 Concertina Connection produces a range of value oriented, yet reliable concertinas for all levels of play. 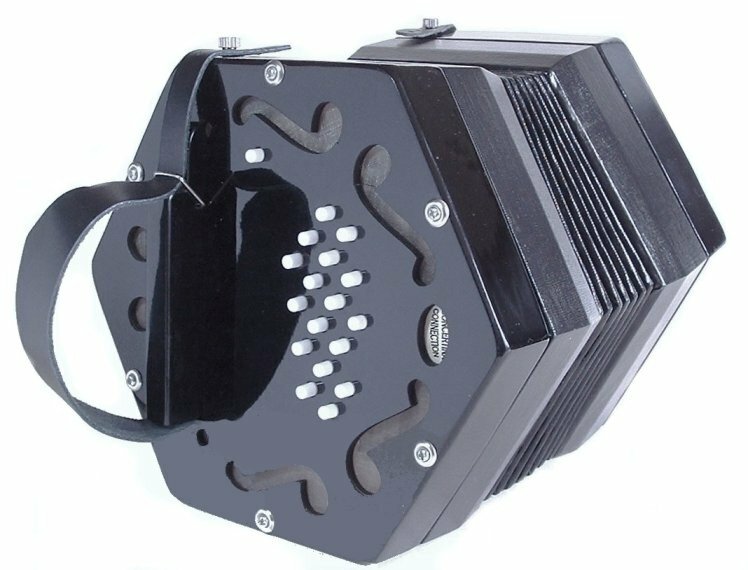 The entry level models (Rochelle, Jack, Jackie, and Elise) are ideal starter instruments that include a beginner book. 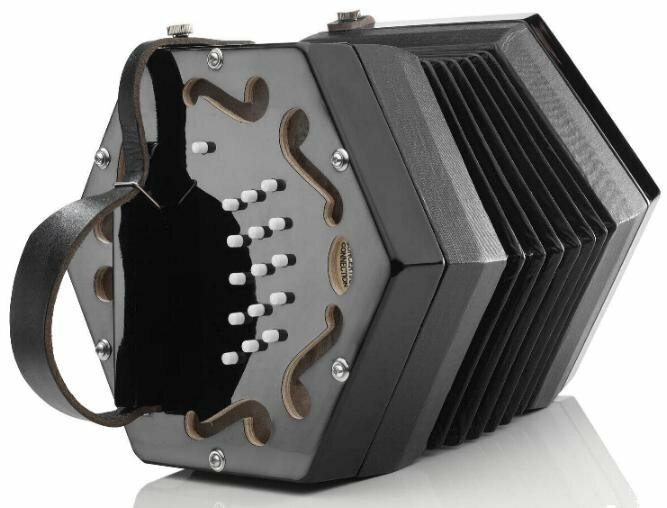 Advanced models feature riveted key arm action, domed keys, and bushed button key holes and action. 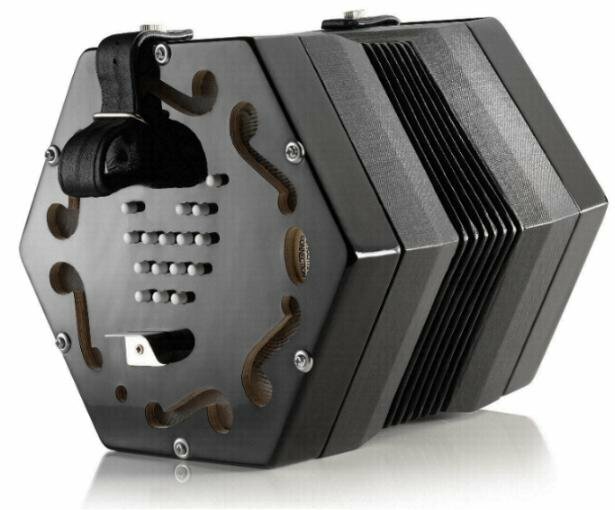 All instruments feature a soft case and 90 day factory warranty.